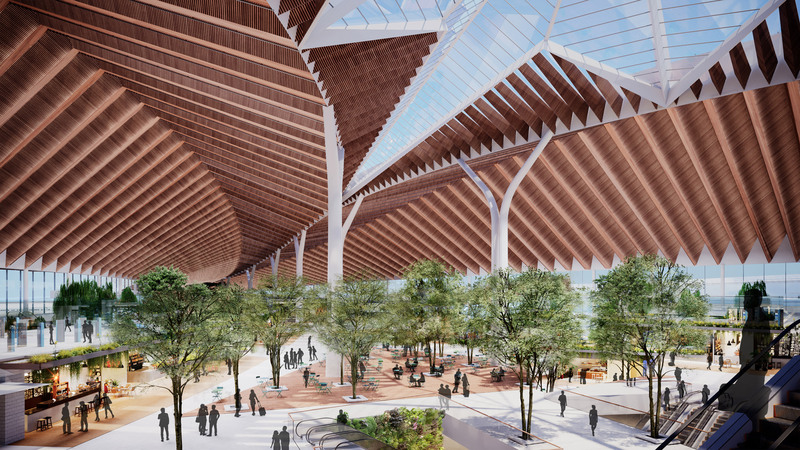 A team led by Studio Gang founder Jeanne Gang has been named the winner of the bid for the concourse and terminal at Chicago O’Hare airport, beating competition from SOM, Foster + Partners and Santiago Calatrava. Gang’s Chicago competition team Studio ORD was revealed today as the lead architect for the $8.5-billion (£6.44-billion) expansion project for the Chicago O’Hare international airport (ORD). 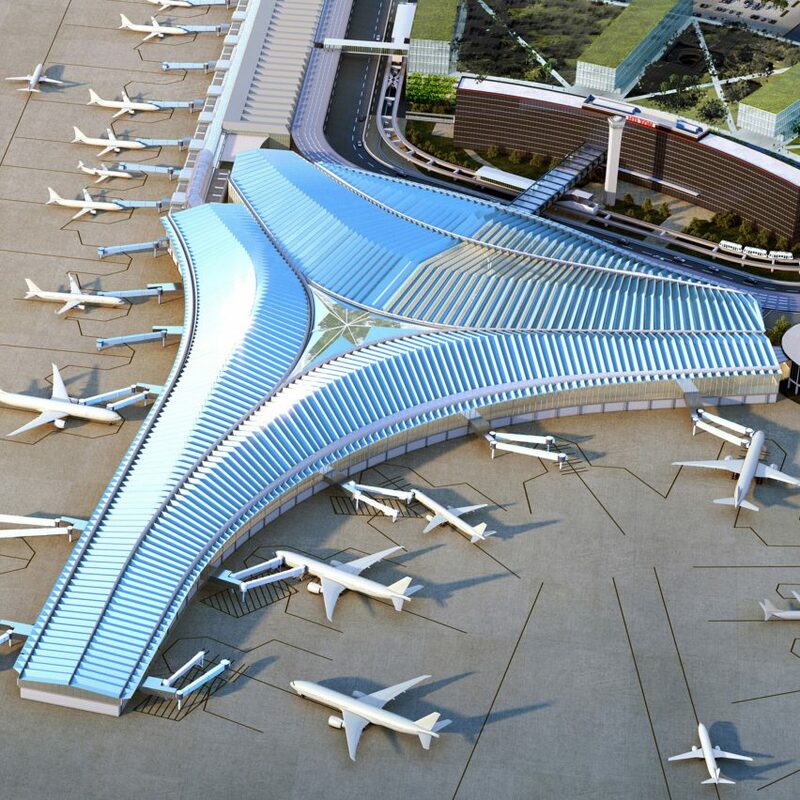 The team were awarded the project ahead of a number of major firms that shortlist the for O’Hare Global Terminal and Global Concourse in January 2019. 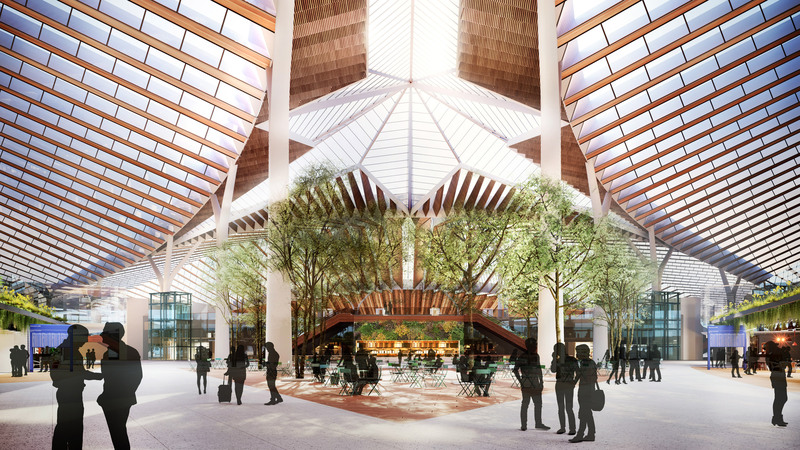 “The tripartite design merges terminal and concourse into a single building,” said Studio ORD, adding that the pronged shaped is intended a reference to the city’s unique position along Lake Michigan and the Chicago River. “Every aspect of the design is focused on creating a uniquely Chicago experience,” said Jeanne Gang. “Like the confluence of the Chicago River, the design’s converging three branches create a central hub that establishes a vibrant new neighbourhood in the heart of O’Hare’s campus,” Studio ORD added. “Surrounding the Oculus is a rhythmic, pleated roof of long-span steel trusses,” Studio ORD said. 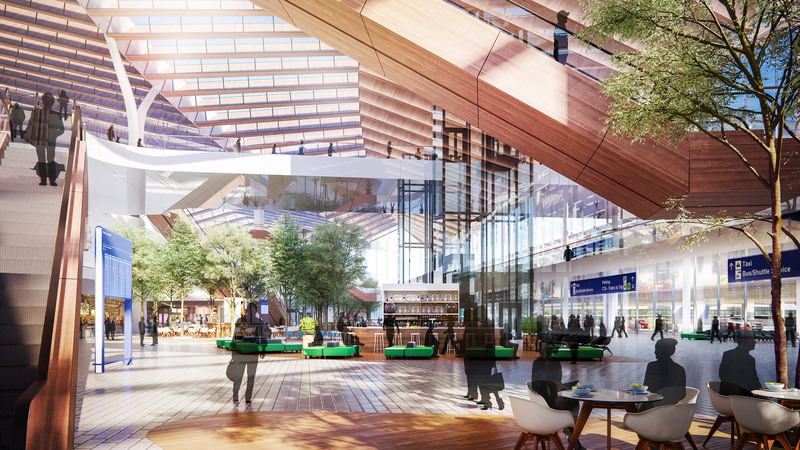 “Culminating in a dramatic overlook, the mezzanine offers expansive views of the airfield beyond and of the neighborhood and gates below, helping passengers orient themselves and heightening the excitement of travel,” said the studio. Studio ORD’s project is expected to break ground in 2023, and is approximated to cost $2.2 billion (£1.67 billion). 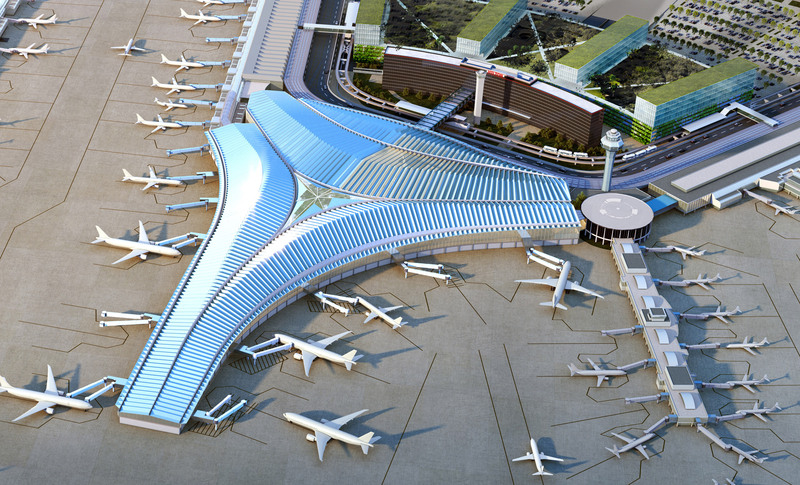 The team’s scheme was selected above four other designs for a proposed “global terminal” at the city’s largest airport. Each was created by either a single studio or team of several firms, as follows: Fentress-EXP-Brook-Garza Joint Venture Partners; Foster Epstein Moreno Joint Venture Partners; Santiago Calatrava; Skidmore, Owings & Merrill (SOM). It is part of a part of an $8.5 billion expansion to redevelop the existing Terminal 2 into a new facility that will integrate international and domestic operations, titled O’Hare 21. The city also intends to select a team to design two new satellite concourses for Chicago O’Hare as well. Several other airports in America are similarly undergoing dramatic transformations. 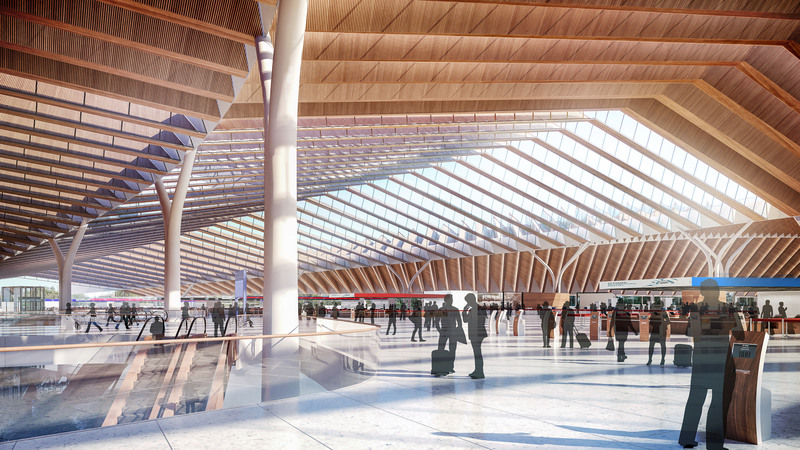 Newark airport in New Jersey is set for a new $1.4 billion terminal by Grimshaw, while New York’s LaGuardia is currently being rebuilt. The post Studio Gang wins bid for new Chicago O’Hare airport terminal appeared first on Dezeen.